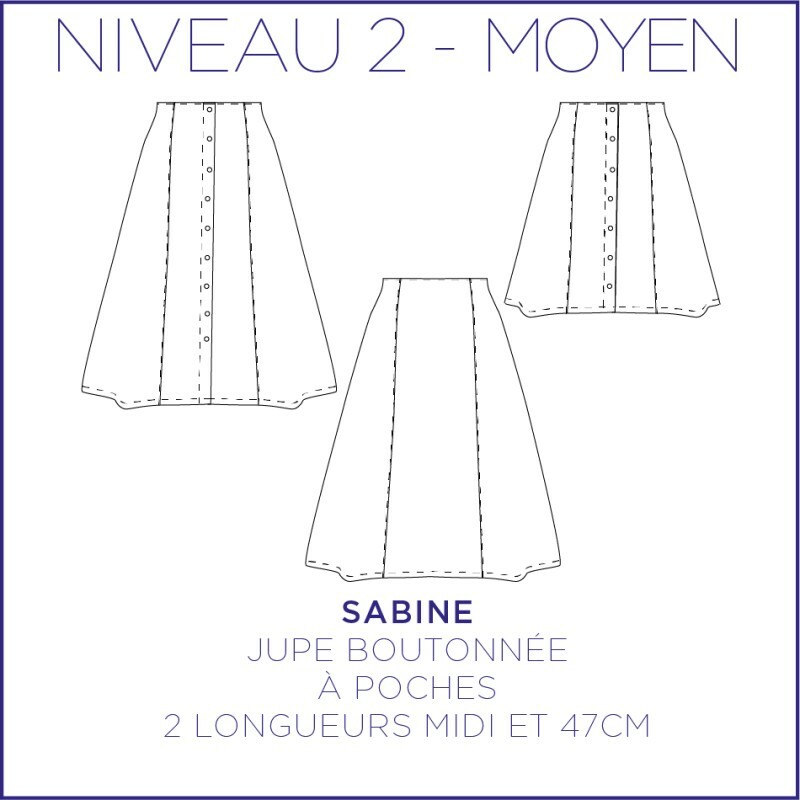 Sabine is a trapeze skirt, paneled, buttoned on the front with pockets on the side. 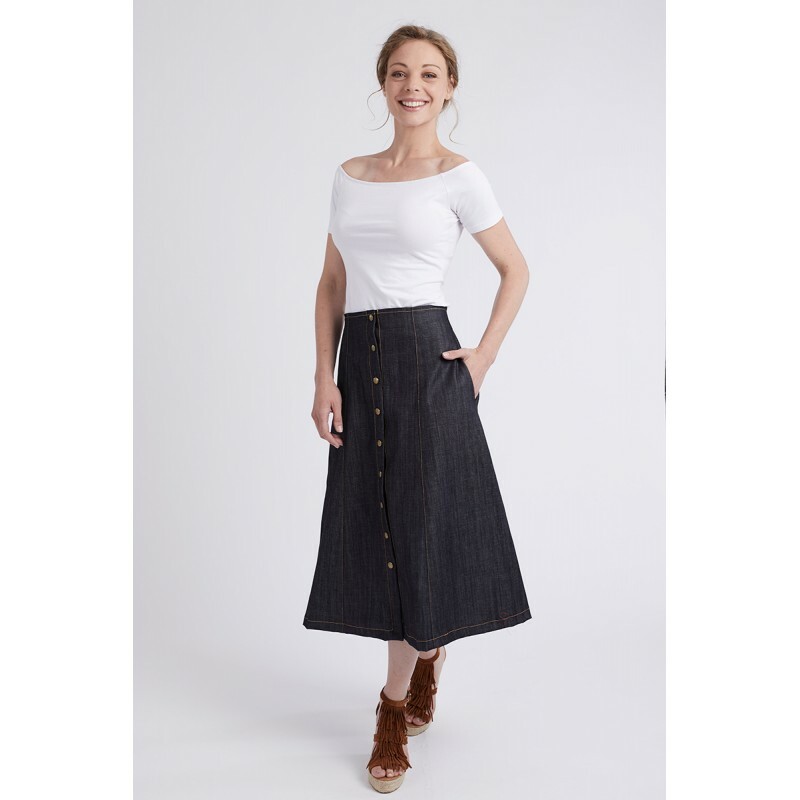 Sport, chic, timeless, this skirt is an essential that accompanies you in all seasons. The seam allowances are 1 cm, the hem allowances are 3 cm, these seam allowances are included in the patterns. The cotton with flowers is from Sacrés Coupons.